Just posted the trueachievements Facebook page link in the chatbox and now Eurogamer have mentioned it, anyone experienced it here? "For those experiencing Gamerscore issues, please sign out and then back into your profile to resolve. =)"
It isn't working for everyone though apparently. Recovering your profile seems to be working too. 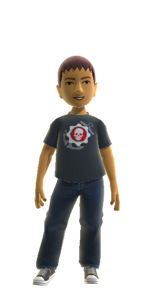 Xbox Support have advised signing out of and back into your profile to resolve the issue and restore the loss of data. Update: Many, many users confirming the recommended fix is not working. Update 2: Could be the stress on Xbox LIVE slowing this fix down. Some restored score reports trickling through now. Update 3: If you're still unable to see your achievements/props etc after signing out and back in, @XboxSupport are advising some people to recover their profile. A small disclaimer here, we're only relaying the information we're reading. Update 4: Successful profile recoveries taking place for a good few gamers out there. Now the big question - Does it stick? Can you unlock an achievement on a 'fixed' profile without issue? Update 5: It seems that all achievement unlocks post profile recovery are behaving as expected with no adverse affects. You will likely need to re-earn the last achievement you unlocked before this glitch struck. Hope it's an easy one! Some Xbox Live users are finding a nasty surprise today: their Gamerscores and Achievement lists showing up as totally empty -- an ironic twist after news of a Gamerscore increase for XBLA games. Tips are pouring in from concerned 360 owners. Microsoft is already working on it, noting on its support page "We are aware of the problem and appreciate your patience while we implement a solution." Joystiq is trying to determine the cause of today's issue, and will keep you updated as the story develops. Update: Microsoft says you should sign out and sign back in, and suggests you try re-downloading your profile if the issue persists. Oops, well spotted Gamerman. I had just seen this and panicked. I went on Facebook about 10 minutes after people were reporting the problem and luckily True Achievements had just posted about it so I promptly posted it here too and messaged people on Live at the time to be aware of it, most of them went offline soon after! 3/13/12. Not since the great video game crash of 1983 have we seen this much panic in the streets. I got all panicky and sweaty just reading these posts!! I get all panicky and sweaty reading most of the things you people post.